As I generally do, I read the Heichal HaTorah publication, with sections from Rav Donenbaum, the respected Brisker Moro D’Asro of Heichal HaTorah on Friday nights. In last week’s section, he discusses the issue of the different types of toilet cleansers available on the market designed to keep the bowl/water fresh and clean. As I recall, the article started off with an assumption which I question, and which I believe is a key point in the analysis. Specifically, he assumes that a resultant colouring that may emanate from these solid chemical inserts adds to the hygienic “feel” of a toilet after flushing: Rav Donenbaum put the word hygienic in inverted commas. My personal feeling, and I stress I am not a Posek, is that the colour itself adds absolutely nothing to any hygiene or feeling of such. In fact, from my perspective, it’s actually more of a divergence from the real state of the cleanliness of the toilet bowl as it serves to camouflage! I know many people who refuse to use it during the week because it’s horrid to look at, and really doesn’t tell you much. If and when I go to a toilet, and the water looks crystal clear, I have far more confidence in the cleanliness, than when I see some dark blue (or other colour) water which may well be masking. Indeed, there are products that don’t have colour that are just as efficacious. Therefore, I would say that it’s hardly a situation of ניחא ליה based on ‘hygiene’ as Rav Donenbaum assumes and if you want to argue that it is ניחא or then go down a path of גרמא when it’s in the cistern then I’d say that in the least one should not make an objective ruling on an aspect which is entirely subjective. The Halacha is clear. There is no prohibition in colouring food or liquid foods. This is the overwhelming opinion, as held by both the Mechaber and the Rama. Yes, it is true that the Sha’ar HaTziyun of the Chafetz Chaim says that someone who is punctilious should seek to avoid these situations. Others, such as the Aruch Hashulchan, Tzitz Eliezer, Chacham Ovadia and many more disagree and blankly permit it as noted in a footnote by Rav Donenbaum. The same permission is applied to Molid Reach (creating a smell) especially when that smell is hardly lasting even if you buy a rolls royce version of such products. The cohanim used to use perfumed water on Shabbos when they washed their hands. This is an open Gemora (which I can’t remember the source of). Putting a smell on clothes or hair is a different category, because it lasts. A Melocho that doesn’t last, is considered by Rishonim and Acharonim as not a Melocho. There is some discussion about the different types of devices and certainly the ones where the chemical device is placed in the uppermost bowl is argued as less problematic, as the water is already coloured, and it could be argued that one doesn’t care about what happens next and it is Gromo, rather than an intentional colouring. I am not sure that this argument is correct. I don’t believe that the colouring serves the purpose that Rav Donenbaum is working with, namely, to give the feel that the bowl is now “hygienic”. As a musician and frequent traveller, I have been to many putrid toilets in hotels and function rooms, where the water in the bowl is a “fresh” blue or green. I have never felt it cleaner simply because of the colour. They are often foul and stink. One might argue that if hygiene and smell was an issue, then using a toilet brush is the way to go, followed by another flush (I assume that Rav Donenbaum permits flushing toilets, although some Poskim are against it full stop). I discussed the matter with Mori V’Rabbi Rav Schachter who felt that it was not permitted but for the simple reason that it is ניחא ליה whether it’s in the cistern or below because the colour shows whether the device is still working and hasn’t lost it’s efficacy. When one sees the colour fade, one knows they have to replace it. Accordingly we see this mentioned explicitly. There is no doubt in my mind, that a chemical doesn’t have to be blue (coloured) to deodorise and kill germs and emit a pleasant smell. The primary purpose is to tell you when it needs replacing and is therefore forbidden. Rav Schachter mentioned this was different to a cup of tea, where the colour and colouring is immaterial. There is an additional problem with the blue colour – if ח”ו there is a significant change in the appearance of the urine or faeces (one that would suggest an urgent medical consultation), this may be masked by the blue colour. It would be better to use a cleaning agent that leaves the water clear, and simply set up a reminder to change it once every 4 weeks (or however long the manufacturer recommends). The act of colouring is prohibited on Shabbos, but many authorities rule that this does not apply to colouring food. Some have tried to argue that water is potable, but I’m certainly not convinced one can extend this to the water in a toilet bowl 🙂 Some want to argue that the intention is to clean and not dye, but Rav Schachter’s point still stands. Some want to say it’s not a direct intention to dye, but again that is the point of contention. There are poskim that permit it. No, you couldn’t remember a Gemore, it is a DIYUN, and as such also a MACHLOKETS. בענין רחיצת ידי הכהנים במים שיש בהם ריח טוב, וכתב, ולענ”ד הטעם הוא משום שהכהנים מסתפגים במגבת אחר הנטילה, ומולידים ריח בבגדים, ומוליד ריחא כה”ג אסור ביום טוב. ע”כ. ונראה דטעמא דנפשיה קאמר, שהרי בד’ הט”ז (ס”ס תקיא) מבואר שאוסר מטעם מוליד ריחא דעל ידי הכהנים, אלמא דס”ל דאיכא איסור דמוליד ריחא גם בבשר האדם. ואעיקרא מאי דפשיט”ל להספר יהושע לאסור הניגוב במגבת משום דהוי מוליד ריחא בבגד, לאו מילתא פסיקתא היא, שי”ל שמכיון שאינו מתכוין להוליד ריח רק לנגב ידיו בעלמא מותר. I quoted here only a part of the DIYUN. Just as many Yidden in Melbourne don’t eat smoked salmon as it wasn’t available in Poland prior to the Khurben why would the Rav allow coloured toilet cakes? Rabbi Donnebaum hails from Pressburg which was a locality where no Bratislavan toilet frequenter ever saw let alone smelt the fragrance of a eucalyptus fresh toilet disinfectant which changed the colour of the water to green. 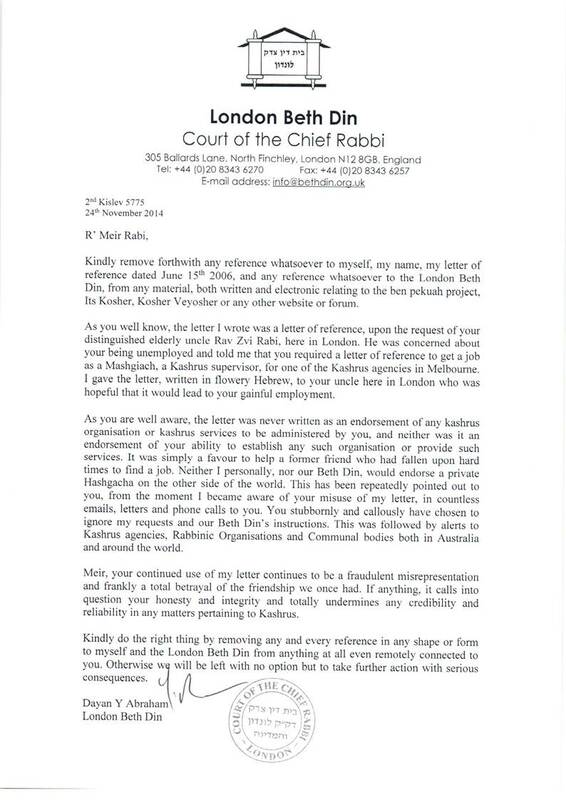 The Chasam Sofer would surely disagree with Rabbi Donnebaum who has applied an incorrect approach to toilet hygiene within the context of Halacha. Isaac, you are correct, colour has nothing to do with cleanliness. about how the Turkey got its Hecher.